Southern Georgian Bay is the kind of place that a property investor cannot afford to miss out on. This area gives keen eyed investors the opportunity to grow and diversify their portfolios. Even better, the current demand for properties in this region yields a solid source for investors to boost their potential revenue. While this market is certainly lucrative, you need to take some time to understand the area. As with any investment plan, it is vital to do your research, adopt a careful approach to financing and to give all the available options due consideration before you invest your money. It is not difficult to see why real estate in Southern Georgian Bay has become one of Ontario's most sought after location both for homeowners and for serious investors. Communities like Collingwood, Creemore, Meaford, Thornbury, Wasaga Beach and the Grey Highlands offer a diverse array of properties for sale. This diversity allows investors to build versatile and wide-ranging portfolios. Investors looking for residential properties will find them here in abundance, while those looking to invest in commercial premises are similarly well catered for. The same applies to investors looking for great deals on lucrative recreational properties or rural acreage and farms. Few areas can beat Southern Georgian Bay when it comes to covering all the bases. By investing in thia area, you can enjoy the benefits of equity growth and rental income as well providing a valuable investment boost to the region. In order to maximise your chances of investment success, and to get the very best out of the property opportunities that are offered here, you need advice from an expert Collingwood real estate agent with knowledge of the local real estate markets. This also includes the knowledge on how to navigate your way through the real estate particulars of the area as well as the legal technicalities and requirements related to your investment. 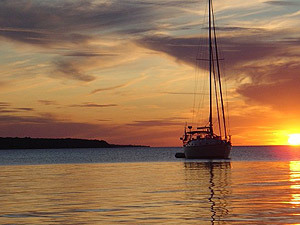 Located on the shores of Lake Huron, Ontario's Southern Georgian Bay provides a mix of urban convenience and rural beauty that makes the region attractive for property investors and prospective homebuyers alike. Contact Christine to help you get the best out of this prime piece of Ontario real estate. She has many years worth of experiance in the local real estate market and is waiting to put this experience to work on your behalf. When you are ready to purchase real estate in the area, get in touch with Christine to learn how she can help you invest your money in this sought after corner of Ontario. Browse properties for sale to find an investment property. Are you looking to invest in Southern Georgian Bay? Contact Christine Smith by email or call (705) 888-0201 to learn more about what she can do for you!